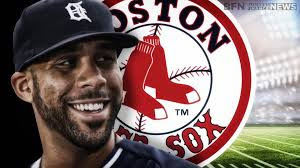 BOSTON - The Red Sox signed starting pitcher David Price to a 7 year 217M contract. So far, he's having trouble getting batters out and has an inflated ERA of 6.75. In a recent 8-2 loss to the Yankees, he allowed 6 runs in 4.2 innings. The Sox second base Dustin Pedroia recently pointed out a problem that he noticed with Price's delivery. Hopefully, for the Red Sox sake, Price will make the adjustment to be more effective.